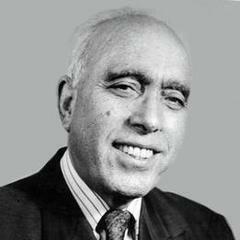 Srinagar, Sep 08 (KTNS): Former Chief Minister and founder of National Conference Sheikh Muhammad Abdullah’s 36th death anniversary will be observed today. NC president Dr. Farooq Abdullah and vice president Omar Abdullah have paid rich tributes to the late leader. “Dr Farooq and Omar Abdullah described him as the architect and founder of educative, progressive and secular democratic society in Jammu and Kashmir based on justice, equality and amity between all regions and all sections of the society,” NC spokesperson said in a statement. The party spokesperson said the congregational Fateha will be offered at Naseem Bagh . Hurriyat (G) activist shot dead in Sopore in north Kashmir.